Wow. Kito Fujio quit his job 12 years ago to explore a career in photography and we are frankly very glad he did. 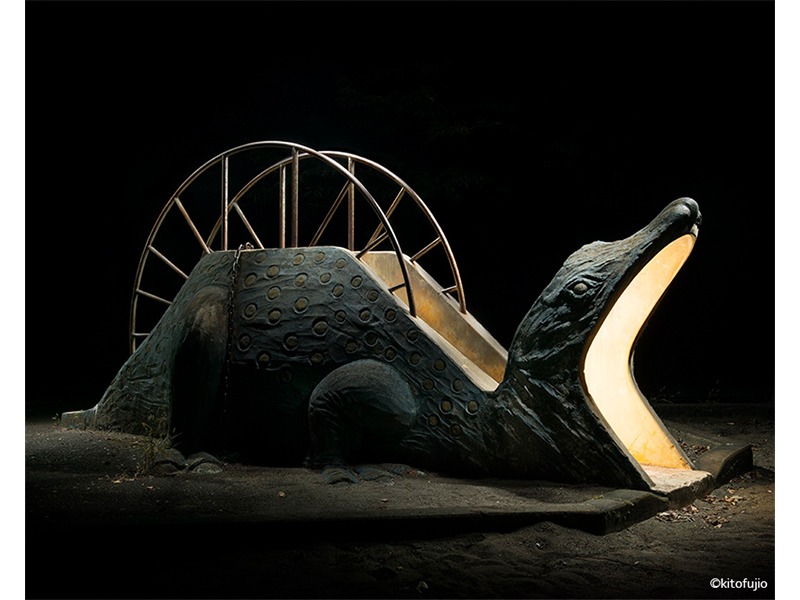 His after-dark adventures in the quirky playgrounds of Japan are beautiful and slightly creepy and we could not love them more. Have a peek and see! This type of play equipment was apparently first championed by Isamu Noguchi back in the 1930s. Found via: This Is Colossal – images used with permission from Kito Fujio.